New Delhi: India has lost the race for the post of Interpol Secretary General with its Executive Committee appointing Germany's Juergen Stock as the successor to present incumbent Ronald K Noble of the United States. 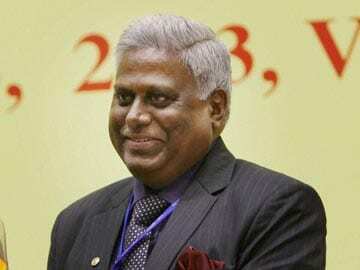 CBI Director Ranjit Sinha, who was the first Indian to be shortlisted for the post of Secretary General, had appeared in the interview along with a candidate each from France, Germany, Italy, Jordan and the United Kingdom yesterday evening at Interpol headquarters in Lyon, France. Stock's candidature was cleared by the Executive Committee comprising members from the United States, Canada, Chile, Italy, the Netherlands, Finland, Japan, Korea, Nigeria, Algeria, Rwanda and Qatar. The candidacy of Stock will be submitted to Interpol's supreme governing body - the General Assembly - for endorsement when it meets in Monaco in November and if endorsed, he will assume office after Noble steps down in 2015 following three successive tenures. "It is essential that Interpol's leadership offers the best services and expertise to its member countries as we face new challenges in fighting transnational crime together, and that it supports the skills, tools, resources and capacities of national central bureaus to carry out our shared role effectively," Vice-President of Interpol Alan Bersin, who chaired the selection process, said. He was quoted in an official statement as saying that Stock had a distinguished career in policing and fighting crime at the international level, and the Committee was confident that he had the ability to take the organization forward. 54-year-old Stock has been Vice-President of the German Federal Criminal Police (BKA) and has also previously served as Vice-President for Europe on Interpol's Executive Committee. The selection process began in January this year, after Noble announced that he would be stepping down after almost 15 years at the helm of the world police body. The Secretary General heads the Interpol's general secretariat in Lyon and is effectively the chief full-time official of the organization.